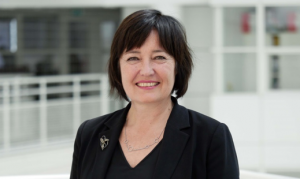 Deputy Mayor Saskia Bruines is The Hague’s alderman for the Knowledge Economy, International Affairs, Youth and Education as well as the Haagse Hout and Loosduinen districts. Saskia Bruines was born in Aalsmeer on 3 June 1962. She studied Social Geography at the University of Amsterdam, with a major in Historical Geography. From 1999 to 2002 Bruines was alderman in Amsterdam. Her portfolios were Art and Culture, Information and Communication Technology, and as of 2001 also Public Space and Green, Environment, Taxi Affairs, Inland Waterway Management and Resources, Well-being and Education (inner city). From 1998 to 1999 and from 2002 to 2006 she was a member of the Amsterdam Municipal Council for D66. Bruines thereafter held various positions in the cultural sector. In 2008 and 2009 she was the quartermaster for the establishment of the Culturalis Theater in The Hague, now called Theater De Vaillant. Bruines was director of the former De Hint centre for the arts in Aalsmeer and Uithoorn from 2009 to 2012. From 2012 until she became alderman of The Hague in February 2017, Saskia Bruines was alderman in Leidschendam-Voorburg. Her portfolios were Education, Economy and Business Climate, Child Welfare, Spatial Development, Services, Social Services, Modern Government programme, Information Security and Internal Affairs.